The legislation in the Strata Schemes Development Bill has many checks and balances to ensure that all owners in the strata scheme get a fair deal, and that vulnerable owners are given the support and resources for them to locate to another home. The 75% requirement is in line with that used in other countries including New Zealand. The concern is that the large amount of checks and balances could add excessive amounts of time to the process, even when all owners in the scheme are in agreement. For example, after a 60 day review period for owners to consider the termination of a scheme, a vote is taken to tally support, but then the owners corporation must submit the plan to the Land and Environment Court , who then must review and approve the proposal. The court needs to be satisfied that all owners get a fair deal. There are no indications of how long this process may take and no statutory timeframes for each step in the process outlined in the legislation. There may be difficulty for a court assessing the value of each lot in the strata scheme, is that this will be determined by the new potential to redevelop the site which can only be determined with any real accuracy when a development application is approved. Presumably many of these practical details will be resolved in the regulations. Some groups have been scaremongering that the new legislation will drive vulnerable people, such as the elderly, out of their homes. 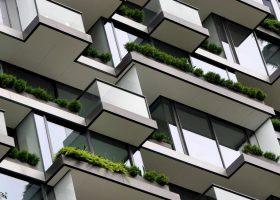 The Urban Taskforce is aware of many instances of where a strata building has reached the end of its life and very large strata levies are required to maintain the building at a safe and acceptable standard. While one lot owner may prefer to stay they must also be prepared to pay for maintenance to ensure the building meets all standards. It is the owners of apartments in these 50 year old, substandard strata buildings that particularly will benefit from the 75% vote to ensure that renewal can occur. The legislation has many support mechanisms for owners who prefer not to sell to ensure that they are not disadvantaged. The second major reform is in the Strata Schemes Management Bill where a new process is proposed to resolve disputes over building defects. There is growing concern that the current defects resolution process is pouring money into the legal profession, rather than into fixing defects in buildings. A independent assessment process would be ideal to manage defects over the first two years of a building’s life. That said, the selection of an independent inspector appears to require both the developer and the owners corporation to agree on an appointment and that this could delay the dispute resolution process significantly. An option may be for the Commissioner for Fair Trading to appoint an independent assessor. A 2% bond to cover the cost of defects is far from ideal, but may be necessary as part of an overall package to improve the dispute resolution process. It is important that the regulations insure that the bond process is administered efficiently and that it doesn’t become an extra cost that will be added to the price of each apartment.